Copyright issues for police procedural TV drama characters. If a character from a police procedural drama TV Series was in Super Smash Bros. Ultimate, what type of copyright issues would get in the way to add them? Why add someone from a police TV series when you can add Patricia Wagon from Mighty Switch Force? Can’t think of an example of a tv show drama that fits gaming outside of some finge ideas. Who would be even a popular enough character relevant to gaming? To answer your question, the biggest technical issue would be voice and likeness rights. Ever wonder why in licensed games based off of live-action properties, oftentimes the characters won't look or sound like the characters from the original property? That's because it costs extra to pay for the likeness rights (to make the characters in the game look like the actual actors) and voice rights (to get the actors to actually voice the characters). Sometimes companies shell out for those rights, other times they don't care and just remodel the characters and get soundalikes to do the voices. As an example, the tie-in game for Spider-Man 3 went all-out and got the voice and likeness rights for most of the characters, who are all modeled after and voiced after the actors from the movie (some of them haven't even been in a video game before or since). 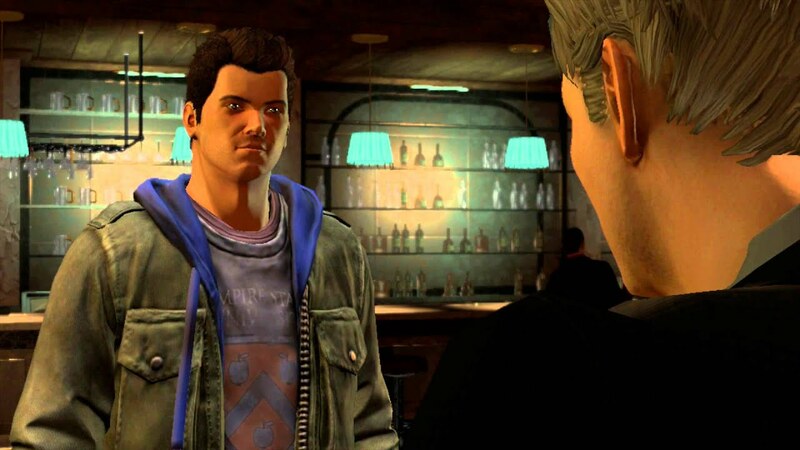 However, in the following Spider-Man movie games, like The Amazing Spider-Man 2, Activision/Sony clearly didn't feel like spending as much money on them, so instead of a Peter Parker who looks and sounds like Andrew Garfield, we get this thick-necked Nathan Drake voiced by the guy who played Donatello in the 2000's Teenage Mutant Ninja Turtles show. So, should a character from a TV show be added to Smash, they'd have to get those rights, otherwise the character wouldn't look and sound right. Beyond that, there's also music rights, which can get very complicated depending on the series or studio. And if the character isn't completely original, and perhaps licensed for that particular movie/TV series, then it gets even more entangled. Similar discussion occurs whenever James Bond is brought up, since a handful of people want him because of GoldenEye on the N64, but then they'd have to license Pierce Brosnan's likeness and probably voice for that purpose, as well as get music from 007 to go with it, which would be a huge ordeal that no one in their right mind would bother with. The real main issue with adding a character from a police procedural drama TV series, though, is that it has no significance in the world of video games and does not belong in Super Smash Bros.
First of all it's impossible for a non-video game character (or video game related, being the only fighter who did not originate from a video game) to make it into Smash Bros.
Second of all I'd assume the dev team would have reservations against having a modern day police officer with a firearm in an all-audience platform fighting game. Third of all they'd have to get the licence to use the likeness of the actor and any other intellectual property rights involved with the TV series. Fourth of all I'm sure at least one actor or actress would have a problem having their likeness used in such a manor. Scratch that - how about Mappy? I'll do you one better. How about Sissel from Ghost Trick: Phantom Detective? What an oddly specific question. Someone's a big Mariska Hargitay fan I take it. Is this a good time to bring up that I'd be down for a Deus Ex character in smash like Adam Jensen? oh snap I forgot about her. How about Bruno Dilinger from Sega's Dynamite Cop series? His series started out as Die Hard the Arcade game and he was John McClane. In Japan they didn't have the Die Hard liceanse so they just renamed the character, but yeah, he's literally Bruce Willis from Die Hard under a different name. I feel like we’re all forgetting perhaps the most famous cop in gaming: RE2 Leon.